All fluorescent lamps and tubes are considered hazardous waste in California when they are discarded because they contain mercury. (Title 22, division 4.5, chapter 11, section 66261.50). 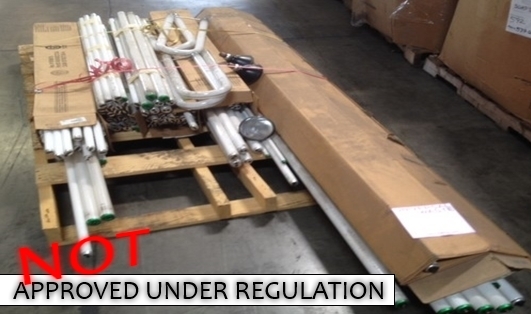 In summary this means it is illegal to discard fluorecent light tubes/lamps in the trash. 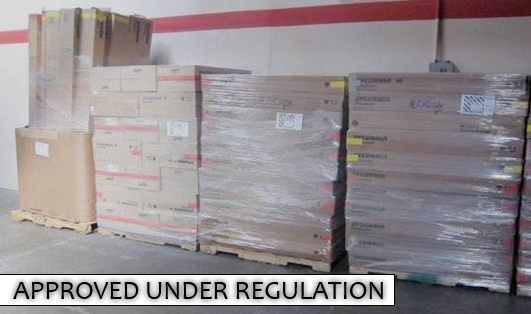 Package fluorescent lamps and tubes must be handled carefully when storing and transporting them. Lamps should be packaged by type. Do not tape tubes together. However all boxes should be taped shut and piece count marked on the outside. Store and transport fluorescent lamps and tubes in the original box or another protective container. Store them in an area away from the rain so that if they break, the mercury from brokem lamps or tubes will not be washed by rain water into waterways. As defined by state and federal authorities, airborne levels of broken mercury lamps can exceed occupational exposure limits. This situation should be avoided. One broken four foot lamp in a small room or vehicle can release enough mercury vapor to exceed the OSHA mercury exposure eight hour limit, posing significant health and safety risk to handlers and consumers. Recent studies have linked mercury exposure to increased risk of heart attack in men. Click here for a comprehensive guide on battery safety practices.